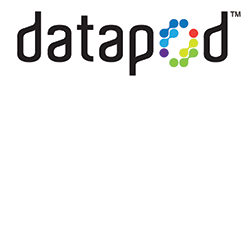 Datapod is a leading manufacturer of data centre infrastructure and is also a provider of engineering, installation and sustainment services for high-performance and mission-critical data centre facilities worldwide. The Datapod System is an award winning suite of deployable infrastructure modules that have been engineered to the highest standards in Australia for customers around the world including Europe, Middle East, Asia Pacific and USA across a number of industries including Defence, Mining, Scientific, Government and Utilities. Datapod personnel have expertise in network and computer security systems including the design, installation, and administration of firewall and gateway solutions. The Datapod System is an award winning suite of deployable infrastructure modules that have been engineered to the highest standards in Australia for high-performance and mission-critical data centre facilities worldwide. The system provides a turn-key solution that is factory tested prior to deployment to eliminate project risks and budget blow outs. The modular design means infrasturcture can be deployed incrementally on-demand only when it’s needed for more efficient use of capital. The system can be easily relocated, which avoids the loss of sunk infrastructure costs typically associated with traditional data centre building sites. The system design is highly energy efficient which reduces operational cost and minimises the facility’s carbon footprint.